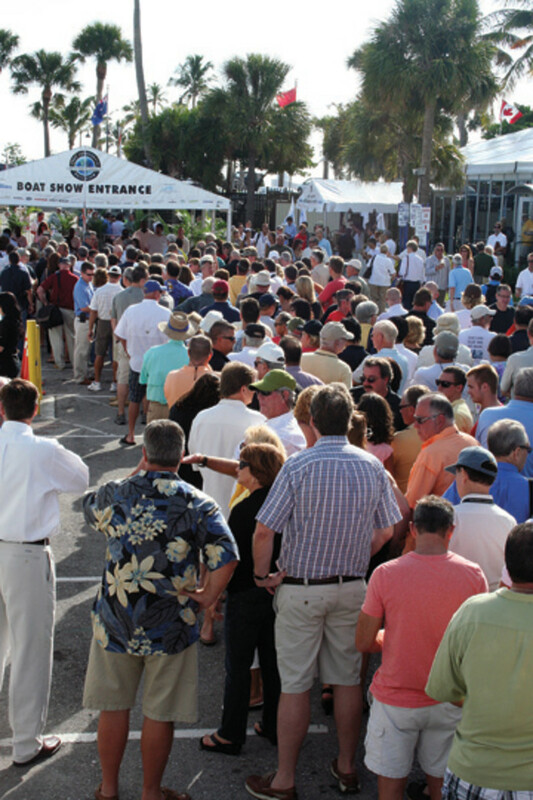 The 54th Fort Lauderdale International Boat Show is on a mission to outperform itself. The Oct. 31-Nov. 4 event continues to add to offerings spread over six locations with more than 3 million square feet of space. It’s a place for those who want to take a break from boats to do some shopping, he says. The restaurant’s upper level also will provide incredible views of the show, according to Show Management senior vice president and chief operating officer Andrew Doole. Another major development this year is the reopening of the Sailfish Pavilion in a new area at the Greater Fort Lauderdale/Broward County Convention Center. 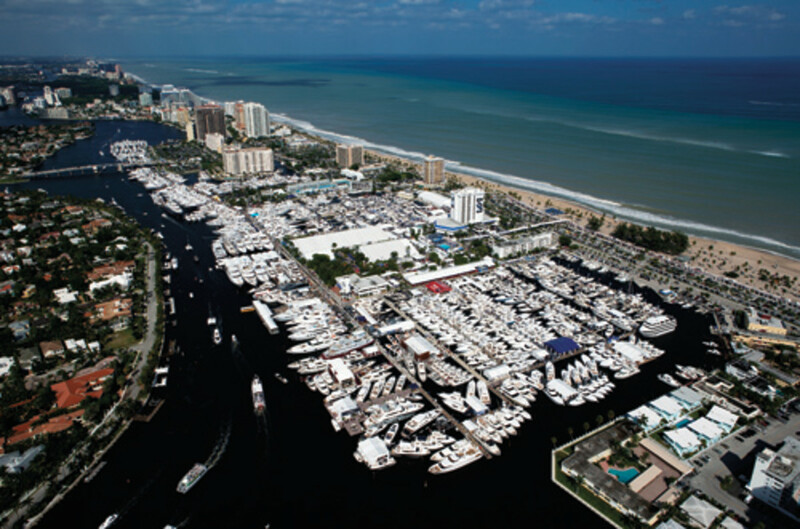 “We offered the Sailfish Pavilion pre-2009, but with the financial crisis it had gone away. We’re happy to announce that it’s back and bigger than ever,” Zimbalist says. Zimbalist says a major redesign of the show’s entrance will feature a high roof and create a “very warm, welcoming” presence. “There will be entertainment in that area and a lot more decoration and places to sit if you’re waiting for somebody,” he says. MIASF will once again operate the AquaLounge, which is open to the public as a place to rest and use the facilities, Hebert says. The lounge will offer lunch each day to MIASF members. Wi-Fi and conference areas are available for members to schedule meetings. The AquaLounge also will host daily meetings with groups interested in learning more about the industry and ways to increase business in South Florida. Strong contingents from Italy and Taiwan will bolster the always impressive international presence at the show. The association meeting, also hosted in the AquaLounge, consists of marine trades associations at the local, state, national and international levels with a focus on professionalism, ethics, best management practices, advocacy and overall industry performance. “It serves as a platform to share information and the progress of each association’s work throughout the year,” Hebert says, adding that similar meetings also take place in Monaco and Miami. The show continues to grow. (Exhibitor numbers weren’t available in early September.) In addition to the Sailfish Pavilion, the show continues its northward expansion at the Las Olas Marina. The show has added 20 slips for boats between 70 and 100 feet — “pretty significant,” Doole says. 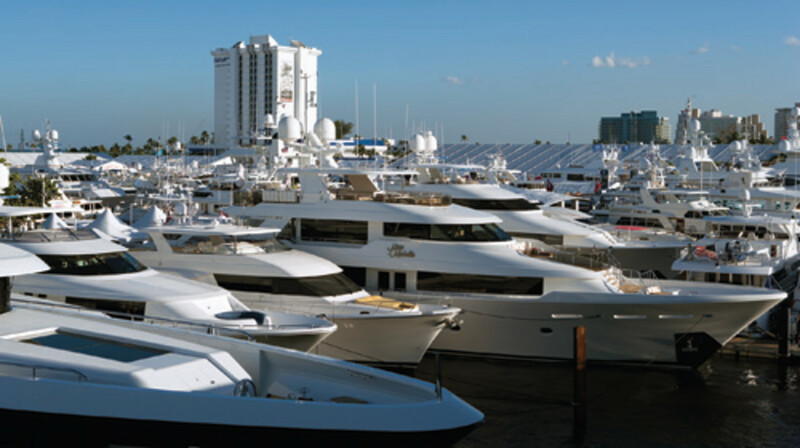 The total value of boats exhibited at last year’s show exceeded $3 billion. “The other thing I’m excited about is that the Show Management website will be available in English and Spanish, which will be a first for us,” Zimbalist says. A fireworks display scheduled for Thursday evening at 7 o’clock will be “bigger and better than ever,” he says. Other exhibits include a personal submarine, a flying car, an exotic auto display, and fishing and boating seminars and workshops for adults and children. Also new this year will be Odessa II, a 242-foot superyacht from German builder Nobiskrug. As of early September, it was to be the largest yacht at the show, though Doole says that could change. Constantinos Constantinou, president and CEO at Forward Ventures GP LLC, is looking forward to showcasing Greenline Yachts for the first time at FLIBS as part of the Slovenian company’s push for North American market expansion. The hybrid-yacht builder will bring the Greenline 40, which debuts at at the show, and possibly the 33. “With [the twin-engine 40], we could be covering the clientele interested in using the boats on the Intracoastal Waterway but also the people interested in using it offshore,” Constantinou says. The show will start on the first Thursday in November instead of the last Thursday in October. Last year, Sandy caused problems for exhibitors and visitors. Improved communication with exhibitors is key, Hebert says. If necessary, she says, the show will use social media, daily news outlets, Twitter and possibly radio channels to get critical information out. “Sandy proved to be a lot more difficult to deal with than Hurricane Wilma [in 2005] because Wilma came before the show and Sandy came during. It was a completely different animal, even though the storm itself wasn’t nearly as damaging,” Hebert says. MIASF and Show Management have formalized some procedures to give 24-hour notice of a closure for any rain event and will meet with a Severe Weather Action Team to discuss risks during the show. Also in response to Sandy, at least in part, Sea Ray has created a “jewel box effect” with a new exhibit developed with Skyline Tent Co. The glass-walled tent will be air-conditioned, providing an in-water display that is enclosed, says Matt Guilford, Brunswick Boat Group’s marketing vice president. Mindful that Sandy last year blew out a tent wall, Show Management will have backup material on hand this year. “We had to call and get the replacement fabric flown in, but this year we will have that available, Doole says. “We have extra equipment available for both land and water, with canvas for tents, pilings for docks, etc.